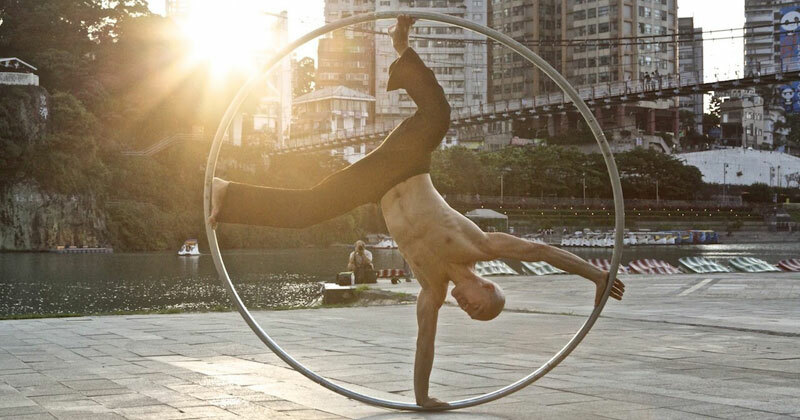 Watch famous Taiwanese street performer Isaac Hou demonstrate his jaw-dropping cyr wheel routine. Audio track is Pistol Shrimp – Heart (RoboCLIP Remix). Video by Kuma Films.